Hey friends! 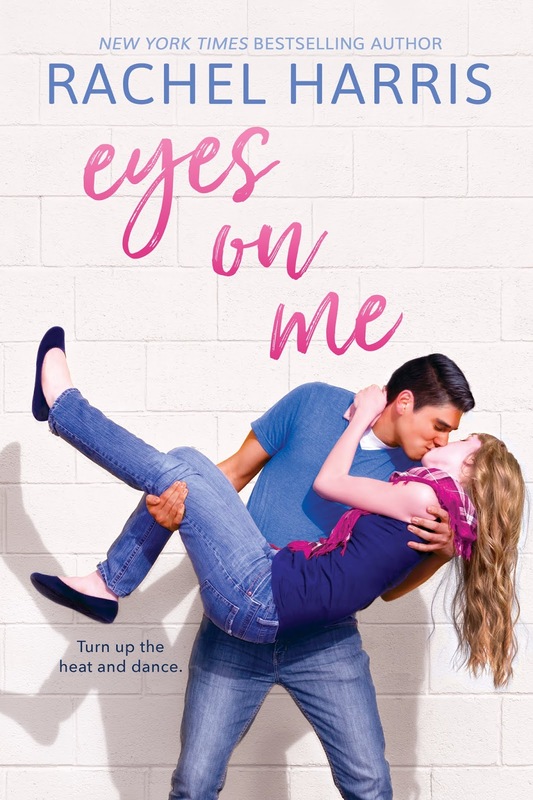 I’m Rachel Harris, a wife, homeschool mom, bookaholic, and author of EYES ON ME, my latest YA release, a funny and heartfelt Contemporary Romance. I own those titles. I’m proud of those titles. But beyond that, honestly, I don’t really think too much about myself. Seriously, it’s funny. When I saw the topic for this guest post, I smiled and thought “What a fun idea.” Then I sat down to actually write it…and was stumped! Ten facts I think you’d find interesting about me—fact that I haven’t blabbed about already, since I tend to not have much of a filter—was surprisingly difficult. Am I that boring that I couldn’t think of anything fun to share??? The truth is that women in general tend to put so many things before ourselves that we can sometimes forget what makes us special. All those roles I mentioned above are awesome things, but there is so much more to who I am and what makes me unique. So, I sat down, put my thinking cap on, and dug deep. I went into the archives of my brain to remember favorite moments, funny moments, various truths, and once I got the ball rolling, it became hard to STOP at ten. Yeah. I know, it’s weird. My family teases me mercilessly. There’s just something so inherently wrong and ICKY about those things! They judge you with those eyes, they hop around in the pitch dark at night just to freak the crap out of me, and when they hop across my feet...or into my hand when they jump out of my dang door handle (I kid you not!! )…the texture of their skin makes me scream even more. It makes no sense—I realize I’m much bigger and they pose no threat—but they SCARE MEDUDE. I even wrote this phobia into EYES ON ME so someone else could share my fear…even if Lily is fictional. Note I do not say refuse to use them. I try. All. The. Time. I LOVE sushi and poke, we eat it at least once a week, and whenever we go to restaurants I always attempt. I just can’t seem to get the hang of it! It’s so embarrassing as I can just feel the judgement of the people around me as I try and fail…and then ask for the kid ones so I can cheat. Sigh…If you have any tips to share, please feel free to leave them in the comments because it’s seriously pathetic. Now if you’ve been following me for a while, you probably know this embarrassing moment as it’s just too good not to share. It’s seriously amazing fodder for a YA novel (though the closest I’ve come is writing an embarrassing vomit after kiss scene in one of my adult romances, The Nanny Arrangement), and it actually happened. See, I was sick, but I refused to admit it. This was my FIRST DATE! I was not canceling! Unfortunately, the sweet guy wore a bit (read: way) too much cologne and kept leaning close to me in the movie theater to be romantic, and my gurgling tummy couldn’t handle it. Fortunately, I did make it to the trash can right outside our theater. Unfortunately, it was seconds before the movie next to ours let out LOL! Shockingly, the guy was awesome about it, rubbing my back, and it didn’t scare him off. That’s YA hero fodder, too! In my younger days, I was so much cooler than I am now. In college, I was branded LSU’s Jenny McCarthy (ha! Totally dating myself here) and hosted a live dating game show as well as a weekly entertainment program called Doin’ It. Then the summer before my senior year I interned at Entertainment Tonight in NYC and met tons of celebrities—I went to the press junket for America’s Sweethearts, met Heidi Klum in her underwear while she was on set for a Victoria’s Secret commercial, went to a couple premieres, hung out with Mandy Moore’s dad during a photo shoot. Yep, I was much cooler when I was younger. Another factoid longtime fans probably know, but it’s such a part of my personality that it feels wrong to leave it out. My girls are used to me and my antics—songs make their way into our lessons, when I’m cooking or cleaning, even when we’re out eating (I once made up a song about a Chic Fil A sandwich)—and this is another quirk that I worked into The Nanny Arrangement. I love sprinkling myself into the books I write, especially the really weird parts about me. Embrace the quirk! 6. My bucket list includes visiting all 7 continents and sleeping in an Irish castle. I’ve only been to three so far (unless you count a layover in the Dubai airport, which I don’t), but we have a trip to Asia planned for 2021, so that’ll get me over halfway to my goal. The rest will have to happen once we’re empty nesters lol. As for my Irish castle dream, it’ll happen one day. Maybe it’ll finally give me the push to write the Irish fantasy novel that’s been simmering in my head for years, too! 7. I’m obsessed with the color purple. It’s not just my favorite, it’s my “signature color.” (Imagine that being said in Julia Roberts’ southern accent in Steel Magnolias!) Purple clothes, purple purse, purple makeup, reddish/purple hair…we even have purple walls in my house. If it’s purple, I want it. 9. I met my husband on a double date…where we switched mid-date! So my husband’s roommate and I were the only ones who didn’t go to our Broadcast Journalism class on 9/11. It never even occurred to me that classes would be held. Because of that, we were paired up for a project, and when I met up with him at a restaurant to drop off the video camera, he was eating dinner with his roommates. I was out of it (I’d had painful dental work done that morning) and didn’t pay attention to any of them, but they convinced my partner to ask me out. He did, he suggested I bring a friend along for his roommate, I did…and a few dances into the night, we just somehow switched dates LOL. My husband and I knew that night that we’d found our person. 18 years later, it keeps getting better and better. He’s the inspiration for every hero I write. Which is one of the reasons I love EYES ON ME so much! I took dance lessons from the age of 4-8, at which point I stopped because I didn’t “want someone telling me how to dance” LOL! But in high school I joined the dance team and had an absolute blast. I’m known to rock a dance floor any chance I get, and my husband and I took ballroom lessons for about a year prior to me writing this book. It was so much fun having Lily fall in love with it, too, and I hope that passion for dance comes through. Now it’s your turn! Give me a few fun unique factoids about YOU! !